Spacious room, well equipped. Nice touches,tissues,toiletries etc. Fluffy,soft white towels. 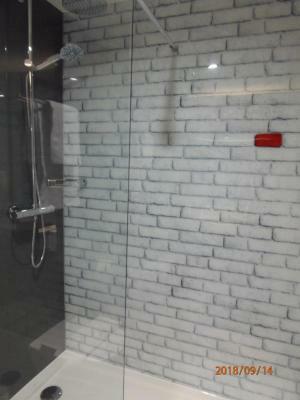 Good shower,spacious cubicle,looked new. Quiet even though near busy roads. Excellent breakfast, especially good coffee! Free parking,absolutely essential. Very good breakfast! 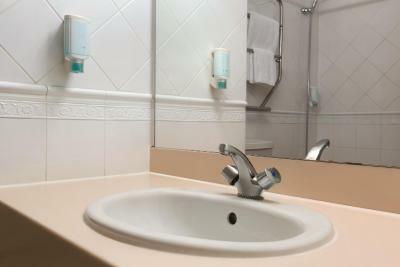 Clean toiletries. Spacious rooms. Very comfy. Taxi services as well. Near Nando's and pizza huts as well. They let us stay in our room longer which was an added bonus. 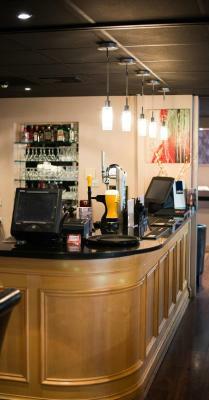 The hotel is within a complex with many places to eat and it has access to a sports club. The room was clean and the beds comfortable. Tea and coffee supplied in the room. Bathroom had everything needed. I would recommend and stay again. Friendly staff. 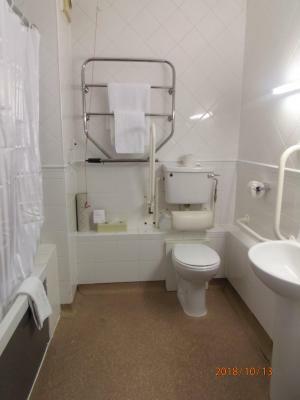 Very clean, great value for money, spacious room, good breakfast. 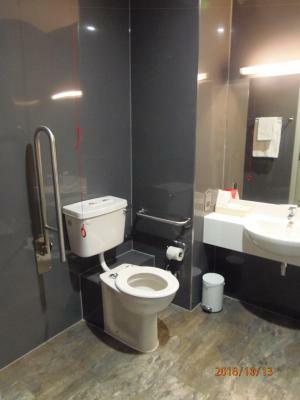 Great location, with lots of good restaurants within a short walk. Breakfast was delicious and very generous. Friendly and efficient staff. Managed to get a room at the end of a corridor - so relatively quiet. Cheap room rate. Nice modern room and a great shower. 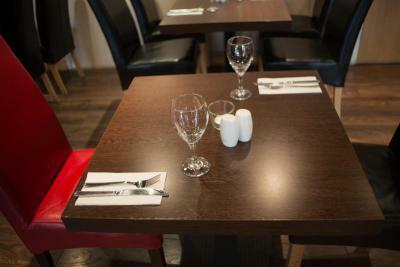 Staff was pleasant and accommodating. 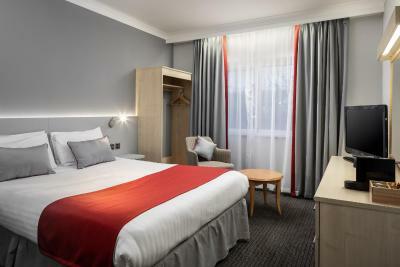 Ramada London Finchley This rating is a reflection of how the property compares to the industry standard when it comes to price, facilities and services available. It's based on a self-evaluation by the property. Use this rating to help choose your stay! 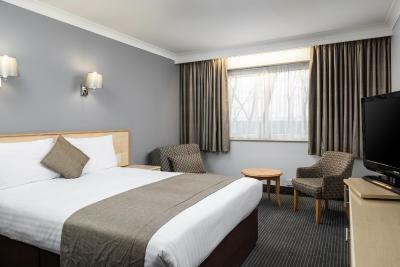 Just 3 miles from Alexandra Palace, Ramada London Finchley offers free parking, free WiFi and cooked breakfasts. East Finchley Underground Station is just a 20-minute walk away, providing direct access to central London in a 24-minute journey. 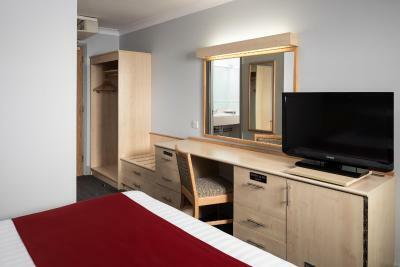 The bright and airy bedrooms each have a Freeview TV and a work desk. 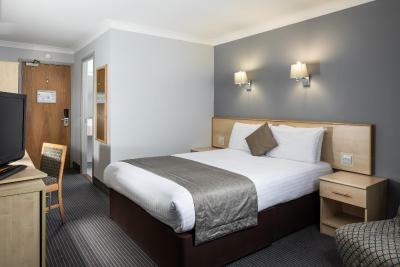 Rooms also have an en suite modern bathroom/shower, hairdryer, tea/coffee making facilities and complimentary toiletries. 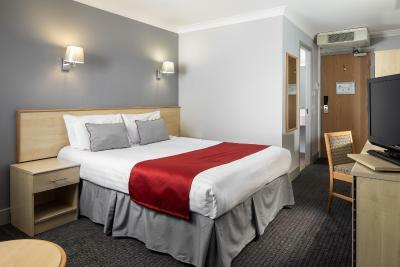 Rooms with air conditioning can be provided upon request and are subject to availability. 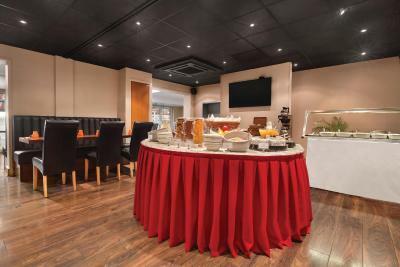 Traditional full English breakfasts are served daily at Ramada London Finchley, with light continental options also available. 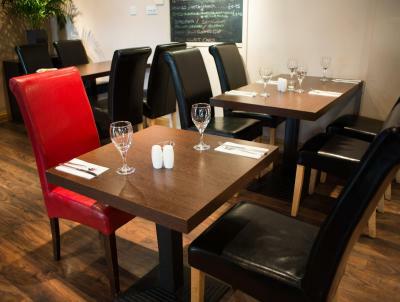 Flames Restaurant, terrace and bar serves coffee, lunch and dinner every day from a Mediterranean-style menu. 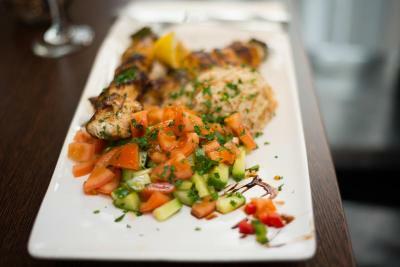 During the weekends, live authentic Greek and party music is played until late in the restaurant. 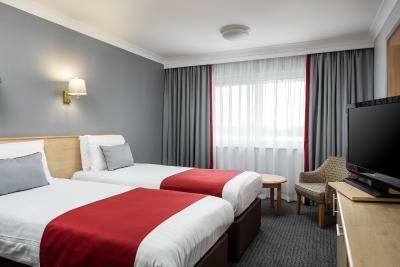 Ramada London Finchley is 650 feet from the North Circular, and Central London is just 6 miles away. The hotel is located in a quiet area of a leisure complex, which has a cinema, bowling alley, swimming pool, gym with spa and restaurants. Local shops and bus routes are within 5 minutes' walk. Other major landmarks nearby are the Emirates Stadium and White Hart Lane stadium, located within 6 miles, and Allianz Park stadium located 3.9 miles away. Wembley Stadium is 7.2 miles away and Brant Cross Shopping Center is 10 minutes away by car. 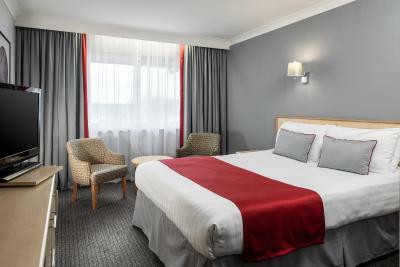 When would you like to stay at Ramada London Finchley? 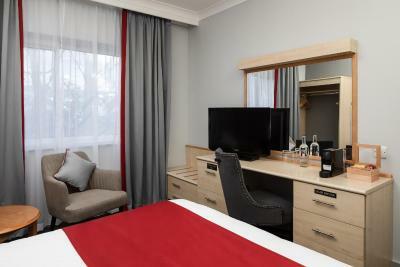 A spacious room with its own bathroom, and a new LED TV showing 106 channels. 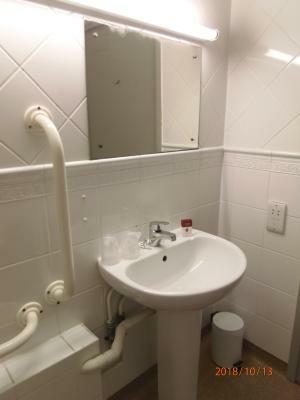 It also has tea and coffee making facilities, free toiletries, free WiFi and hairdryer. 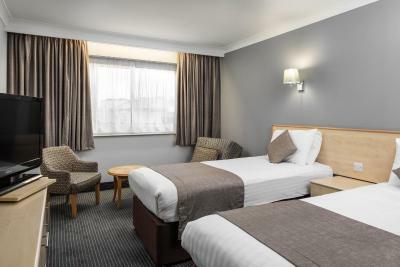 This room can accommodate a cot or an extra bed at a surcharge. This twin room has a tea/coffee maker, electric kettle. 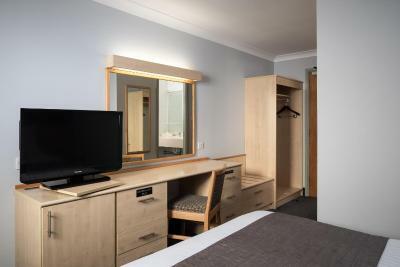 This room also features free Wi-Fi, Freeview cable TV and a private bathroom. This room can accommodate a crib or an extra bed for a fee. 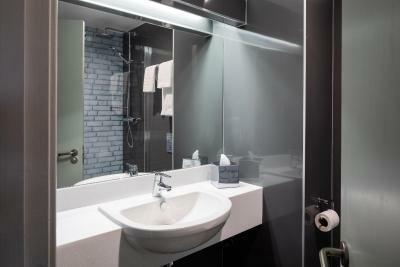 The standard rooms feature a spacious private bathroom complete with shower and bathtub. Simply unwind with a selection of local and Freeview channels on an LCD interactive television. 3 single beds are available and free WiFi is included. 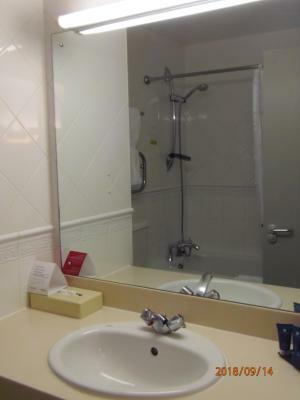 Room Size: 20sqm (215sq-ft). 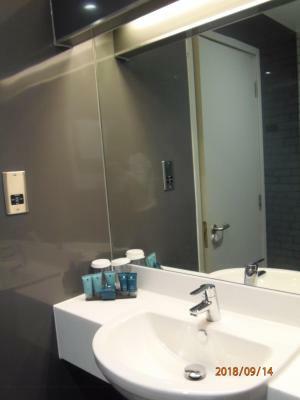 The deluxe rooms are equipped with spacious private bathroom complete with shower and bathtub as well as premium Temple Spa Blue amenities, complimentary bottled water and executive work area. Free WiFi is included. Double Bed. Room size: 20sqm (215sq-ft). The deluxe Rooms with spacious private bathroom complete with shower and bathtub as well as premium Temple Spa Blue amenities, complimentary bottled water and executive work area. Free WiFi is included. Twin Beds. Room Size: 20sqm (215sq-ft). 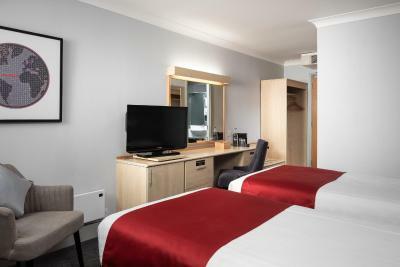 Comfortable and modern, the executive rooms feature a spacious private bathroom complete with shower as well as premium Temple Spa Blue amenities. 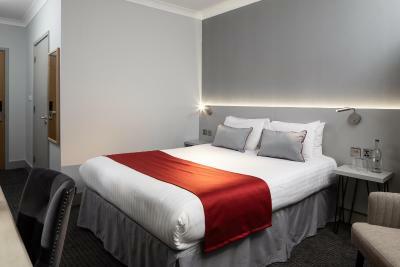 Complimentary bottled water, a selection of snacks and bedside USB charging points are available. A generous executive desk and free WiFi are included. Choice of a Double Bed or Twin Beds. 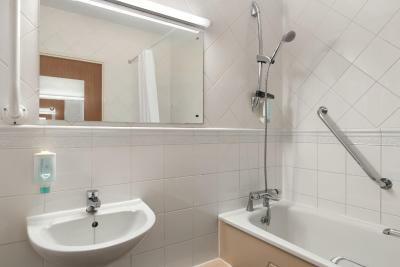 The standard rooms feature a spacious private bathroom complete with shower and bathtub. Simply unwind with a selection of local and Freeview channels on an LCD interactive television. 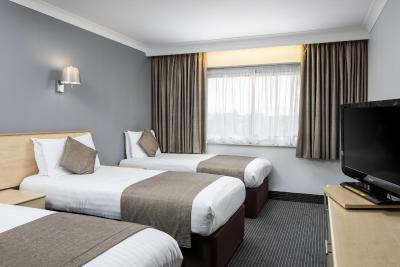 Choice of a Double Bed or Twin Beds and free WiFi is included. 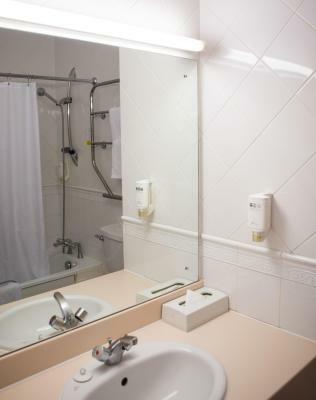 The Deluxe Rooms have a spacious private bathroom complete with shower and bathtub as well as premium Temple Spa Blue amenities, complimentary bottled water and executive work area. Free WiFi is included. Choice of a Double Bed or Twin Beds. 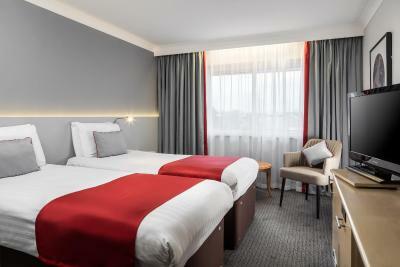 House Rules Ramada London Finchley takes special requests – add in the next step! 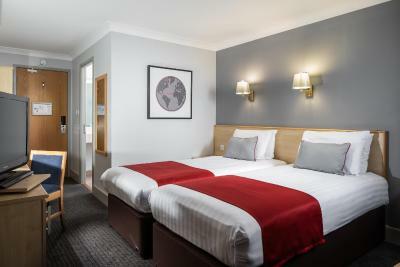 Ramada London Finchley accepts these cards and reserves the right to temporarily hold an amount prior to arrival. 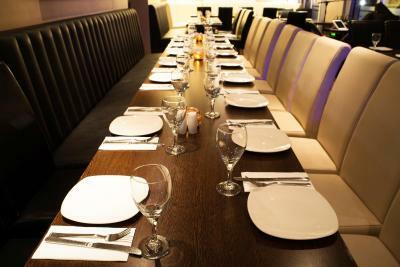 Please note that on weekends live music and/or private parties can be catered, which can limit the number of tables available for dining. Further information can be sought by contacting the hotel prior to arrival. You can use the Special Requests box when booking, or contact the property directly with the contact details provided in your confirmation. Please note early check-in and late check-out fees may apply. Room looked a little bit tired. I didn't like the way the restaurant manager continually shouted at his staff. He gave the bar staff a hard time in a harsh way. Perhaps it's his training technique at fault. the flood lights that shone in to the room were a bit of a pain, especially as I didn't want to draw the blackout curtains as I always sleep in with them drawn. Lack of wine list when we ate before going out to our evening. Lack of product knowledge from staff - although they were very pleasant. The bedroom was basic but comfortable. 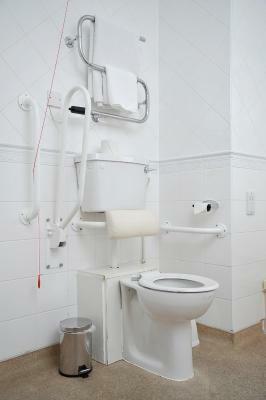 The bathroom was cramped and the shower was difficult to operate unless you really studied the taps! The extractor fan didn't work so the bathroom steamed up badly. As well as providing tea and coffee perhaps small bottles of water would be a nice addition. Noisy area outside so glazing not sufficient to shut it out. 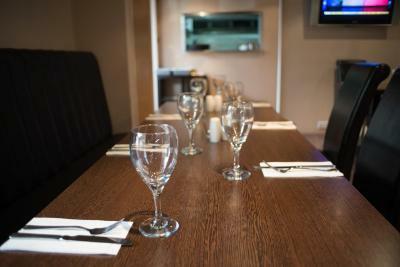 Staff and food available was pleasant and organised. Good selection of breakfast on offer. The hotel decor is a little dated. Staff were lovely and friendly. Bus stop just outside the hotel brings you to East Finchley tube in 10 mins and you are on the northern line. Breakfast was fairly poor. Not sure what was in the sausages but it didn't seem to be meat. In need of modernising and didn't feel too clean. Grubby bathroom with mould in grout on silicone around the bath. Adjoining room with the kid's room. For the price we paid for the room it was unacceptable for the breakfast to be limited to not all you can eat, with staff serving a child size portion on your plate and very limited choice of food and hot drinks. Also during the night the doors to enter the hotel were open with no security meaning anyone could just enter the hotel at that time. In the actual hotel room our window frame was broken leaving a permanent draft entering the room. Very limited park space available at the hotel. 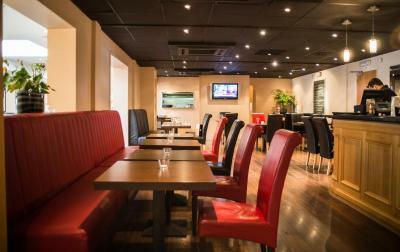 Location was good, within walking distance of a variety of restaurants and cinema.